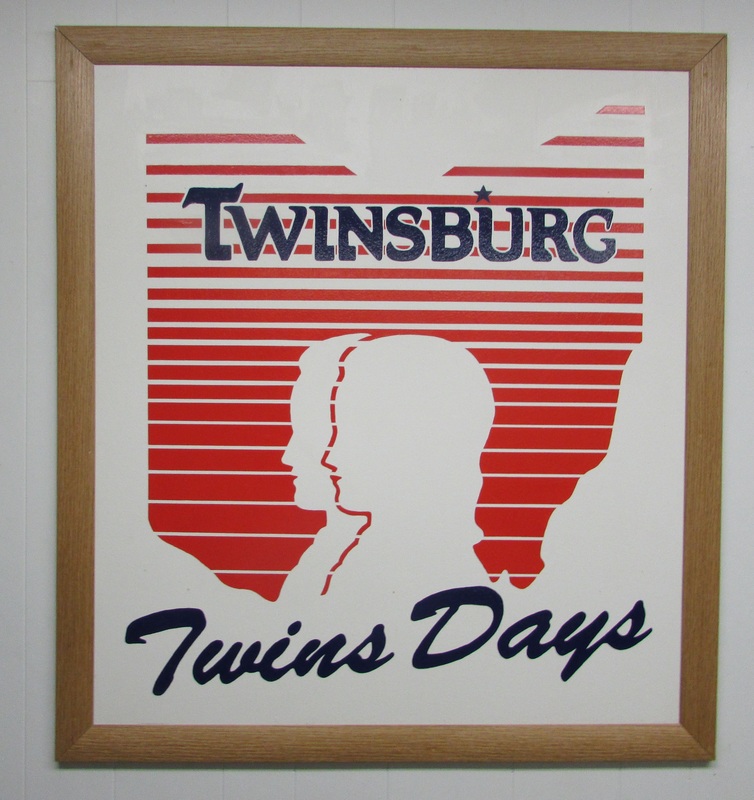 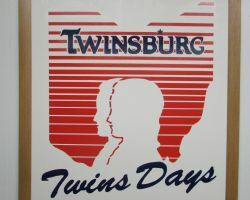 Framed 1992 Twins Day logo hanging in the Twins Day offices behind the Twinsburg VFW Hall. 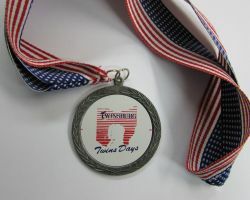 Medal handed out during Twins Days. 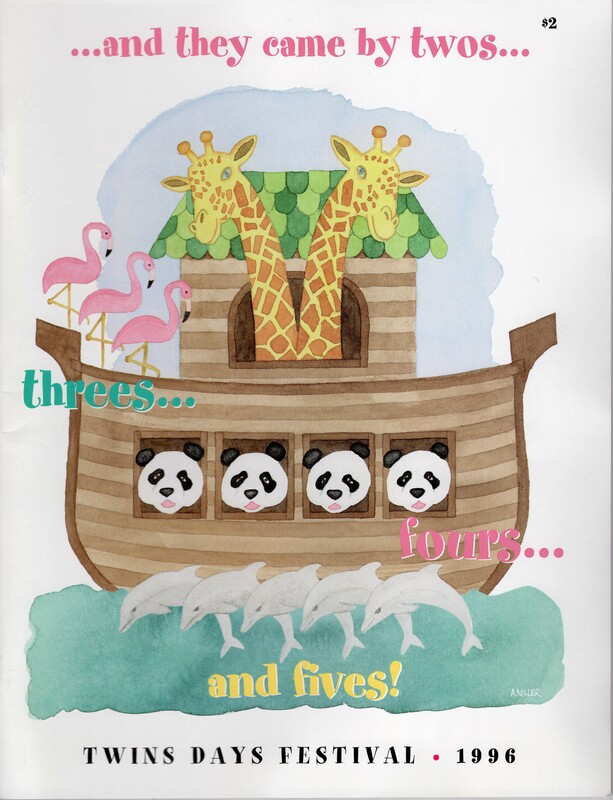 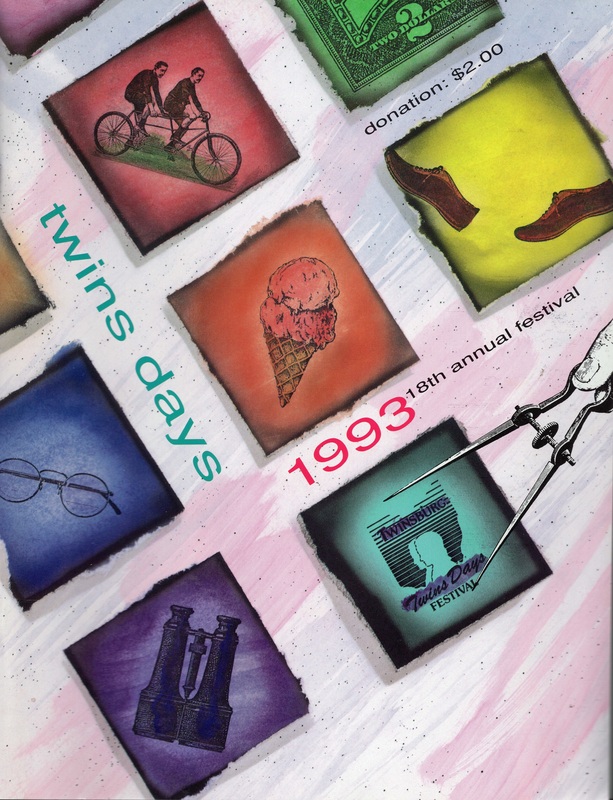 Front Cover of the 1986 Twins Day Program. 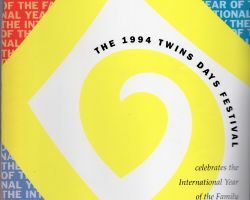 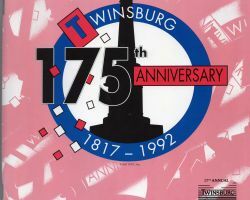 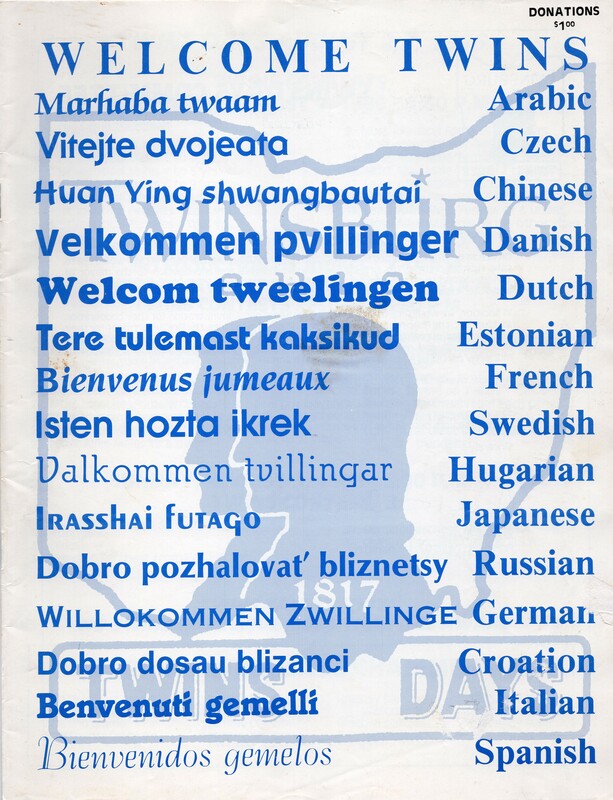 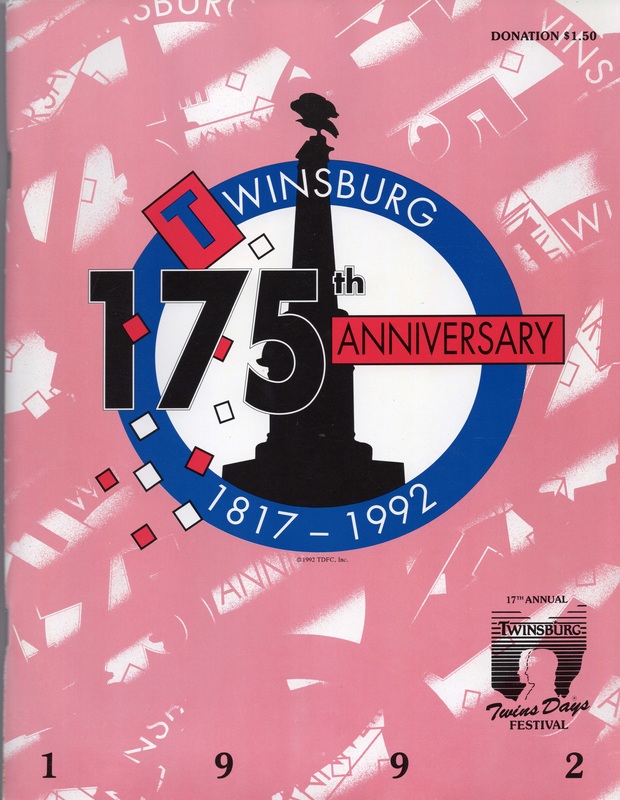 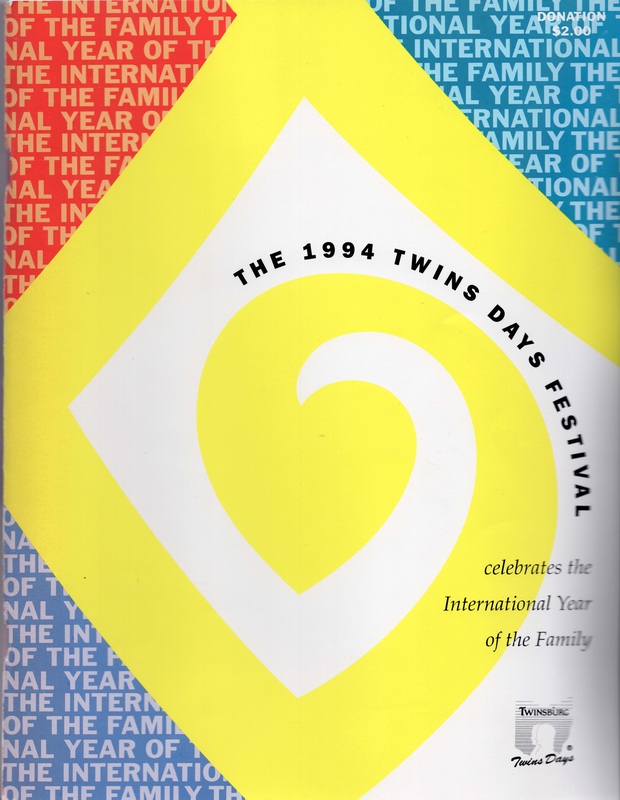 The 1992 Twins Days Program also celebrated the region's 175th Anniversary. 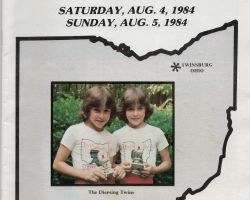 The Wilcox Twins, or at least the twins portraying them, in 2011. 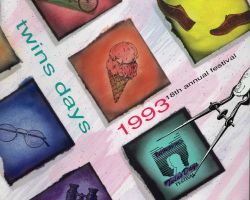 Festivities during the 1992 Twins Days. 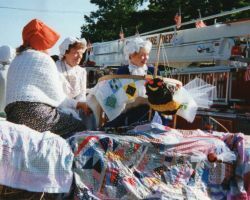 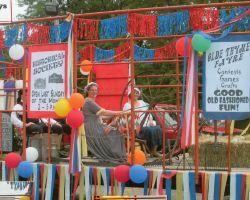 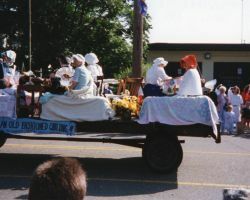 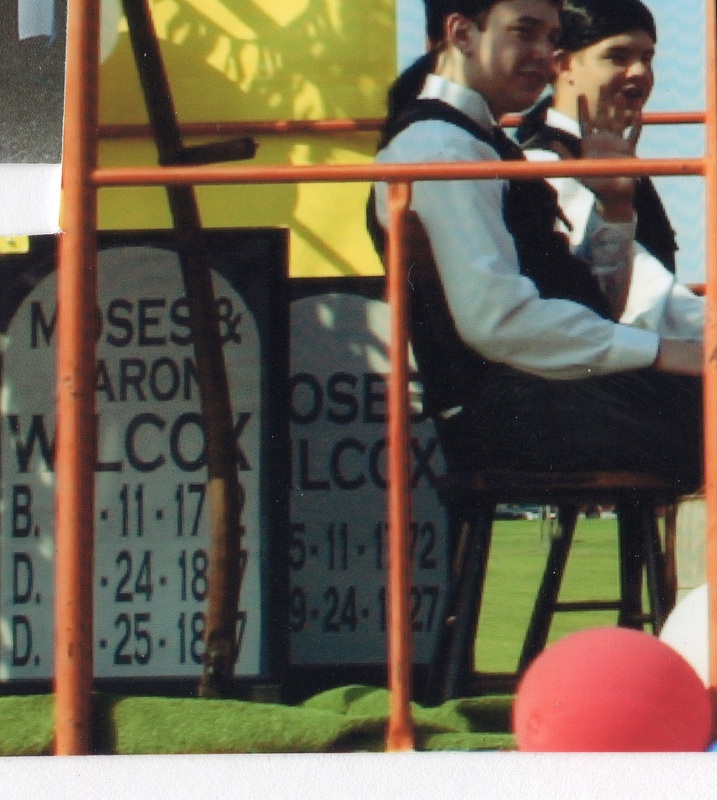 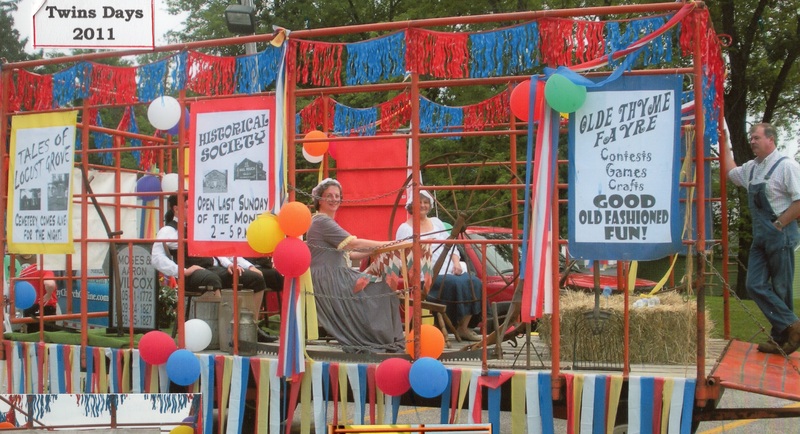 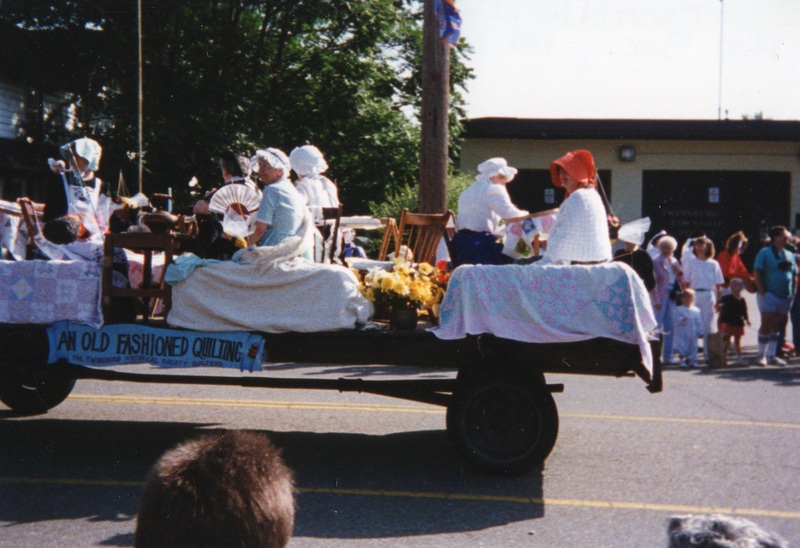 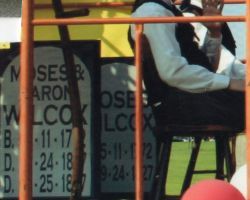 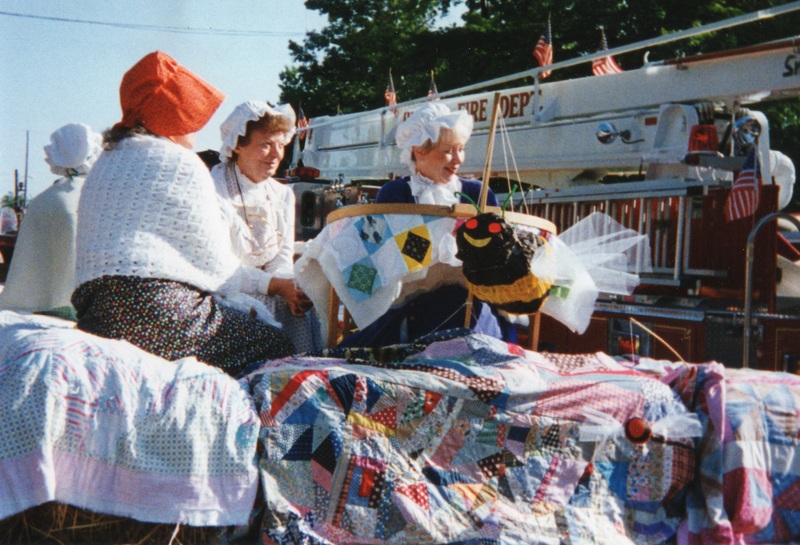 A float during the 1992 Twins Days festivities. 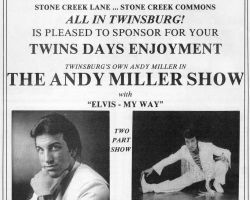 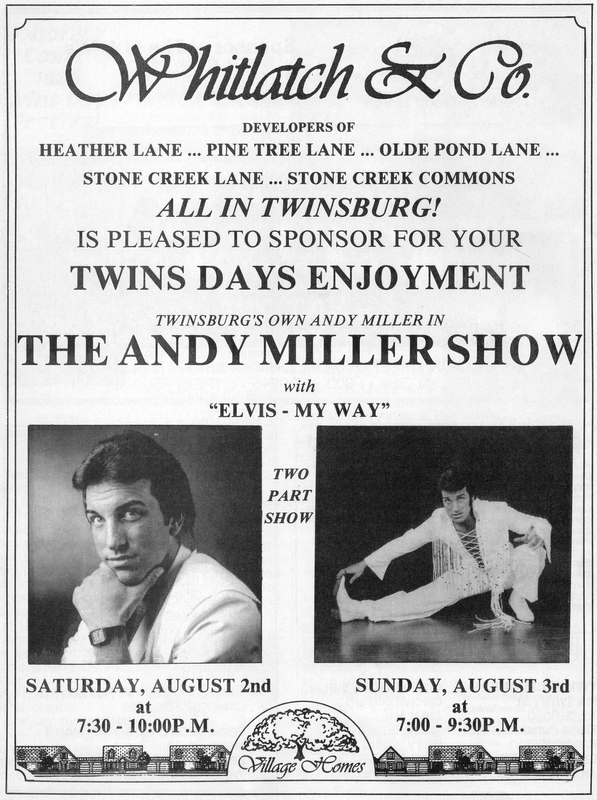 Andy Miller, son of Andy Miller Sr who was the long time Director of Twins Days, entertaining the attendees as Elvis.